On the wing: "The crime was done in Granada"
"The crime was done in Granada"
with the morning stars still bright overhead. each of them had his eyes shut tight. blood on his clothes, lead in his back . . .
hammers were sounding--striking and clanging in the forges. playing up to death. She was listening. with the clapping of your dry hands. the red lips where you used to kiss. in these breezes of Granada, of my Granada!" He was seen walking . . .
the crime was done in Granada, in his Granada! 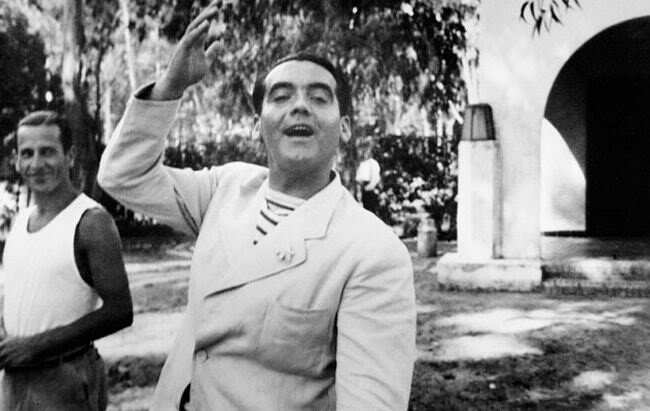 As a teenager, Federico García Lorca (1898-1936) thought of himself primarily as a pianist. 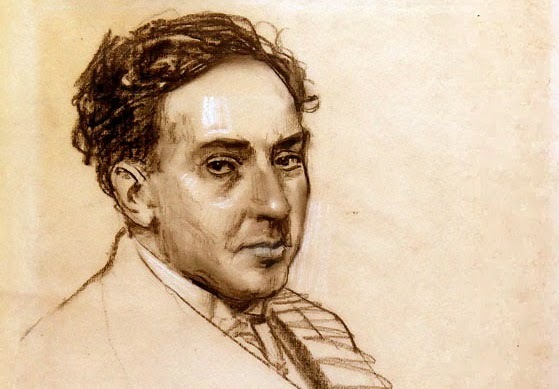 In 1916 his piano teacher, Martin Domíngeuz Berreuta, introduced him to Antonio Machado. At 41, Machado was known across Spain for a 1912 book of poems called The Castilian Country. Lorca became enthralled with Machado's work, and it helped to inspire his own first book of poems, which appeared in 1921. Lorca was murdered by supporters of Franco on August 19, 1936. They were outraged by his homosexuality and by his political views as well, for Lorca had once said, "I will always be on the side of those who have nothing and who are not even allowed to enjoy the nothing they have in peace." Machado wrote his impassioned response to his friend's murder shortly after hearing of it. He soon fled the fascists himself, and died three years later, just across the border, in Collioure, France. Thank you. Glad you liked it, Eric.